The mighty stag is the King of the forest, the protector of all creatures and a totem of sensitivity to the native tribes of North America. This amazing canvas features the skull of this beautiful creature, with is tall antlers flowing majestically to crown this amazing art. This sacred animal is a symbol of gentleness and softness and is the ideal addition to your home to bring peace and tranquilly to all. 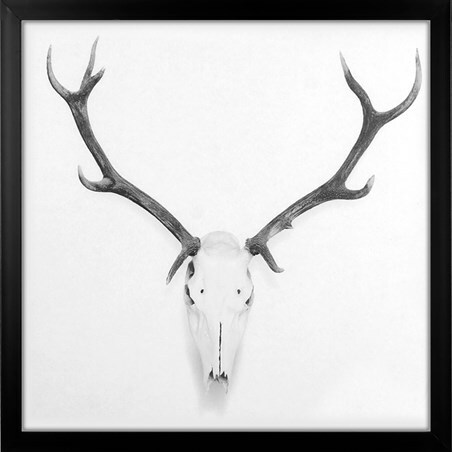 High quality, framed King Of The Forest, Stag Skull large canvas print with a bespoke frame by our custom framing service.